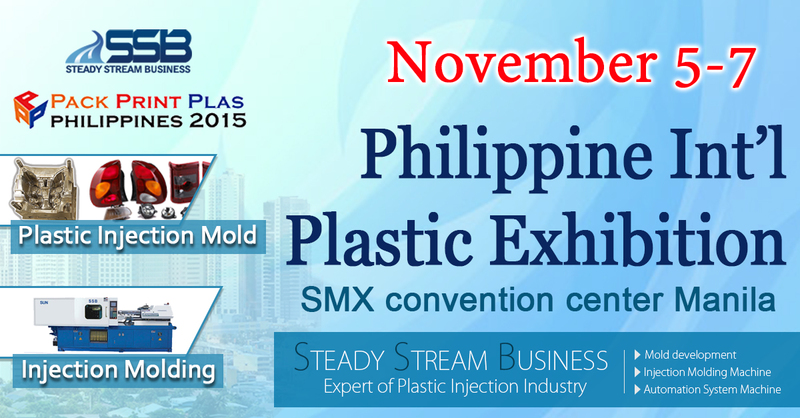 Steady Stream Business will attend The 19th international plastics exhibition in Philippine. Including plastic injection mold, plastic injection molding machine, automation system machinery. Philippines Plastics, Packaging & Printing & Label Exhibition is set to fortify its position as the foremost trade event uncovering the potential of these three synergistic sectors of the region. Philippines Plastics, Packaging & Printing & Label Exhibition sets the standard in terms of trade visits and exhibits being witnessed at the exhibition. Special seminars will provide decision makers,scientists and producr developers of the food health ingredients industry a quick and complete overview of the health related market trend and upcoming technologiew to innivate their products.